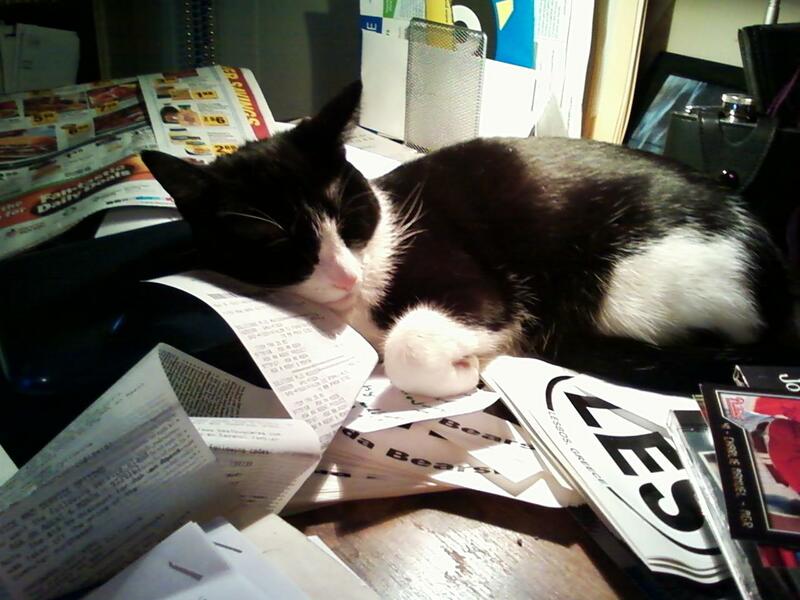 This entry was posted in Blogging, Cats, Life, Writing and tagged blogging, cats, humor, messy desk, work, writing. Bookmark the permalink. Ah, I see that. Thanks for adding your two cents. Thanks again. Hope you’ll stop by more often. Yes, she is very cuddly. When she wants to be. Sounds like Buddy is a taskmaster. Magic is way more laid back. She doesn’t really care if I get my work done or not. She’s a bad influence. I just started pulling up an empty chair to my desk and covering it with a microfiber blanket so that she can sleep beside me when I type instead of on top of me. I tell her that she is at work just like me. lmao!!! I do the blanket thing too! I have a dog who likes to burrow under blankets, when we brought Buddy (and his brother Bother) home from the shelter Buddy saw the dog go under the blanket and thought, hey that’s how its done! lol…I put a blanket next to me and Milo the dog cuddles with Buddy the cat. They’re slightly dysfunctional I think. Or they have a confused image complex. Buddy and Bother, gotta love those names. W and I laugh about putting a soft blanket on a cushioned chair. I mean, she is a cat after all. Nothing but the best for her. One of the things I do to put off work is read your blog!!! LOL. It’s a great afternoon pick-me-up! Thanks! I didn’t know The Flannel Files was having such a negative impact on workforce productivity. All good choices. Oh, and the cat says thanks. She knows she’s super cute. That’s half the problem. Cutie pie Magic. 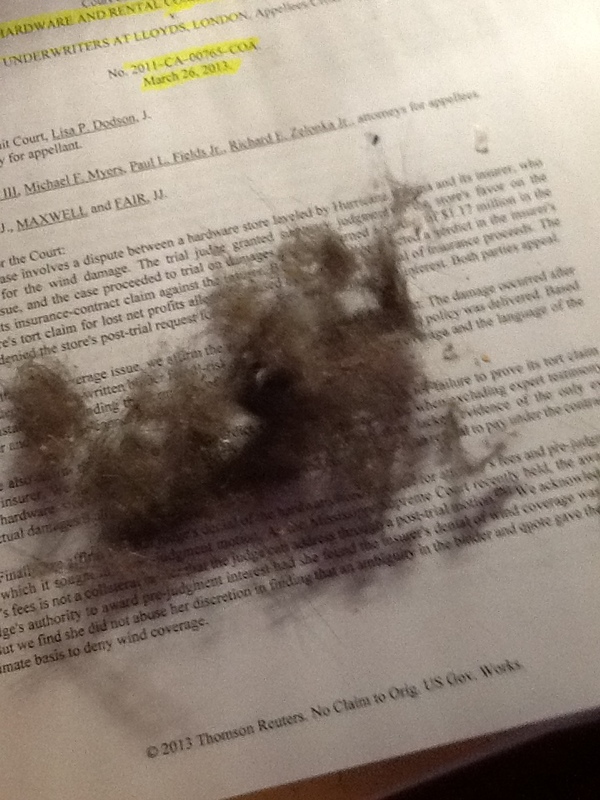 I’ve never vacuumed or blown air on my keyboard. I think there is probably a whole cat in there by now LOL. She is and she knows it. If you are missing a cat, you’ll know where to look.